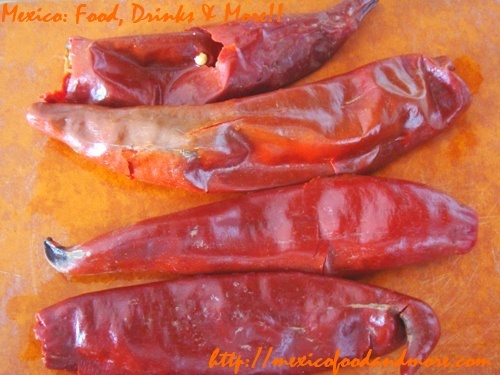 Since guajillo chiles are dried chile peppers, you’ll need to soak them in hot water for 10 to 15 minutes so they’ll soften. 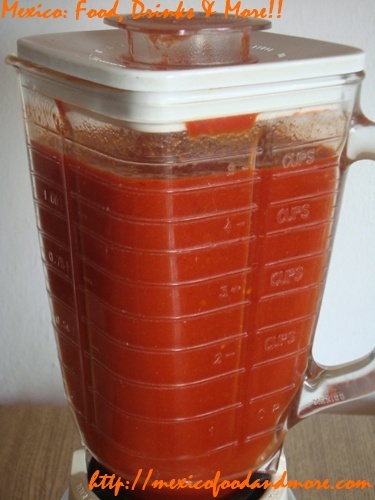 Remove (reserving the hot soak water if using chicken bouillon powder instead of chicken broth). Remove the stems and seeds. 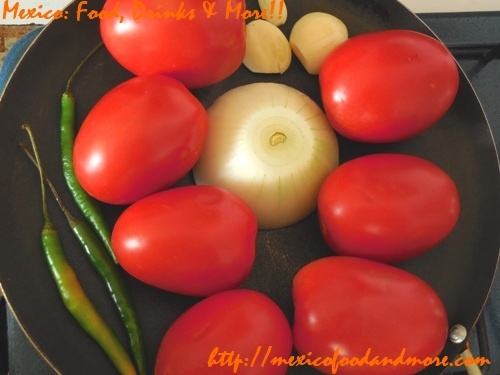 Roast the tomatoes, onion, garlic, and árbol chile peppers on a comal (griddle) set over medium-low heat. 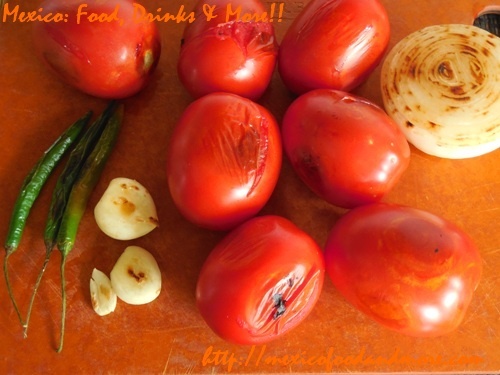 Place the garlic, árbol chile peppers, onion, 2 tomatoes, and the guajillo chile peppers in a blender. Blend until smooth. 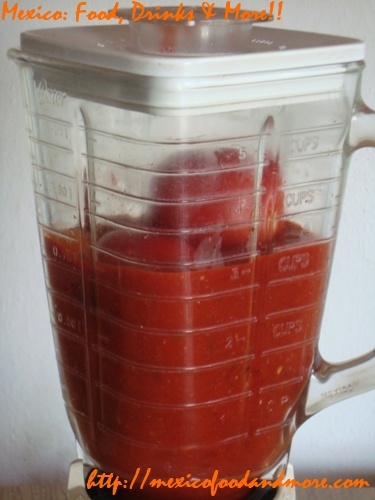 Add another 3 tomatoes. 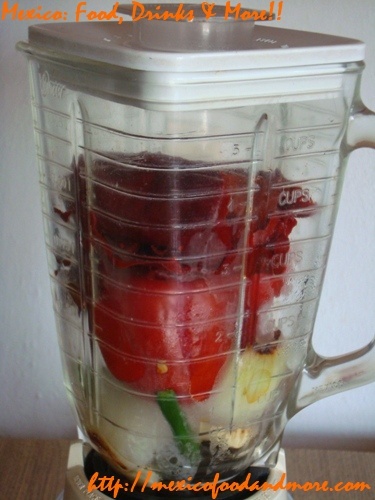 Blend, then add the remaining 2 tomatoes and blend again until smooth. 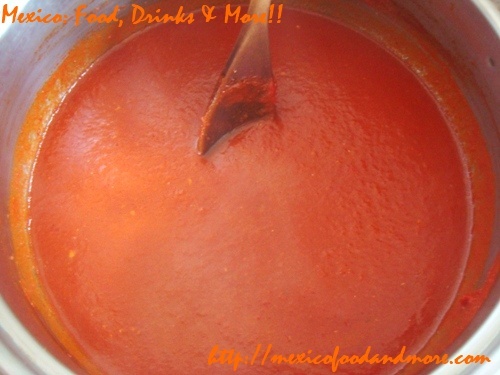 Add a tablespoon of vegetable oil to a medium-sized pot set over medium-low heat. 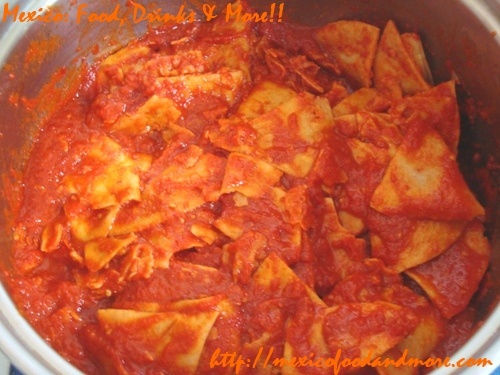 Pour the red sauce into the pot. Add the chicken broth (or chicken bouillon powder dissolved in soak water), stirring to combine, and bring to a boil. 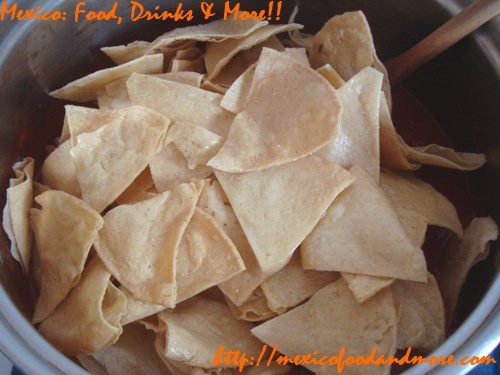 Reduce heat to low, cover, and simmer while you make the tortilla chips. 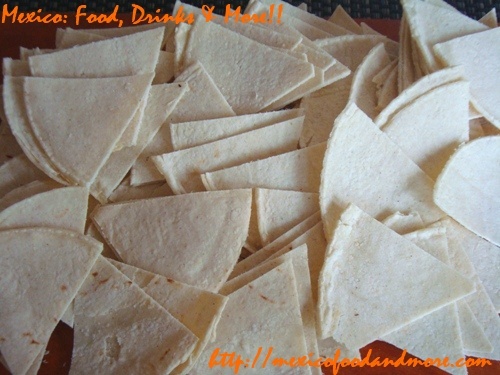 Cut the tortillas in half, and each half into thirds, forming triangles. Pour 2/3 to 1 cup of vegetable oil into a large skillet and set over medium-high heat. 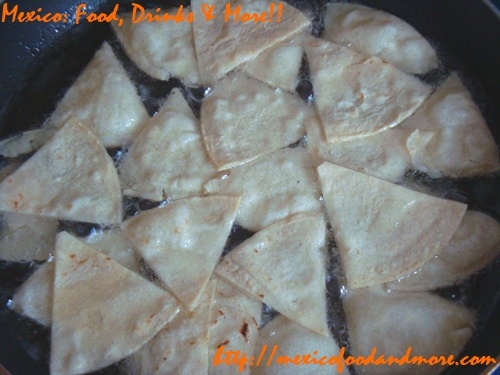 When hot, add enough tortilla triangles to cover the bottom of the skillet. The oil will start bubbling a lot once you add the tortilla triangles. 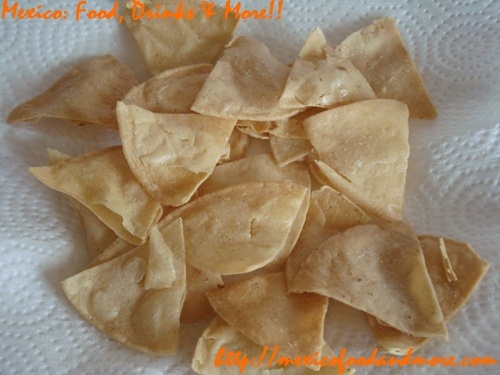 After about 30 seconds, flip the tortilla triangles to fry the other side for another 30 seconds or so. The oil will be less bubbly at this point and the chips will be a light golden color. 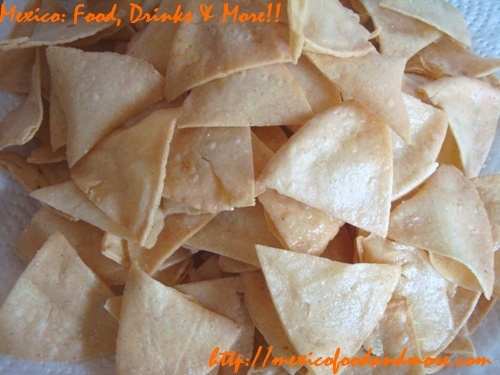 Remove chips from the oil and drain on a plate lined with paper towels. Lightly season with salt. 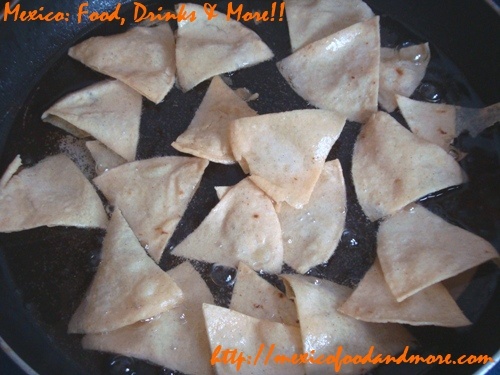 Repeat frying steps until all your tortilla triangles have been fried and lightly seasoned with salt. 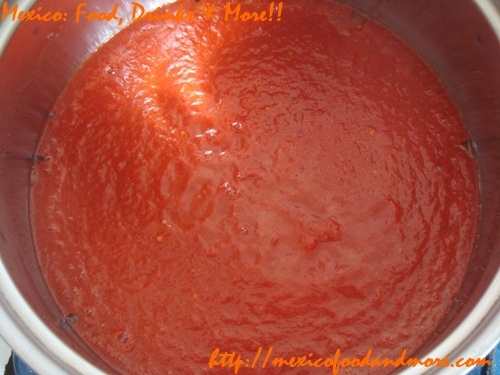 At this point, your red sauce should have reduced a bit (not too thick and not too thin). Season to taste with salt. Add the tortilla chips to the sauce. Stir to thoroughly combine the chips with the sauce. The chips should be well-coated with sauce. Immediately serve and top with sour cream, sliced onion, chopped cilantro, crumbled queso fresco, and sliced avocado, or garnish as desired. 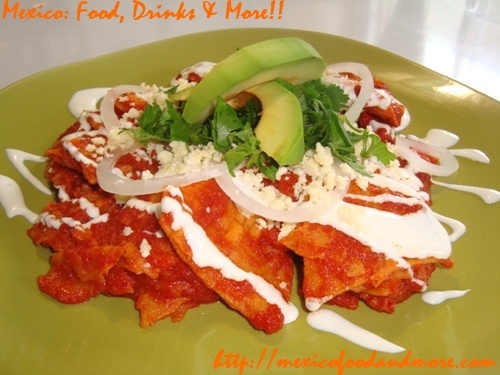 Note: For added protein, top your red chilaquiles with shredded chicken, or serve fried eggs on the side. This entry is filed under Breakfast, Chicken, Chiles, Side Dishes, Traditional Dishes. You can follow any responses to this entry through the RSS 2.0 feed. You can leave a response, or trackback from your own site.